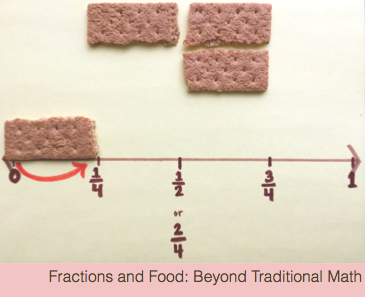 This post about fun with food and fractions is written by Jen of Beyond Traditional Math. Hopefully after reading it, you’ll never look at food quite the same! Thank you, Jen, for your time, effort, and expertise! 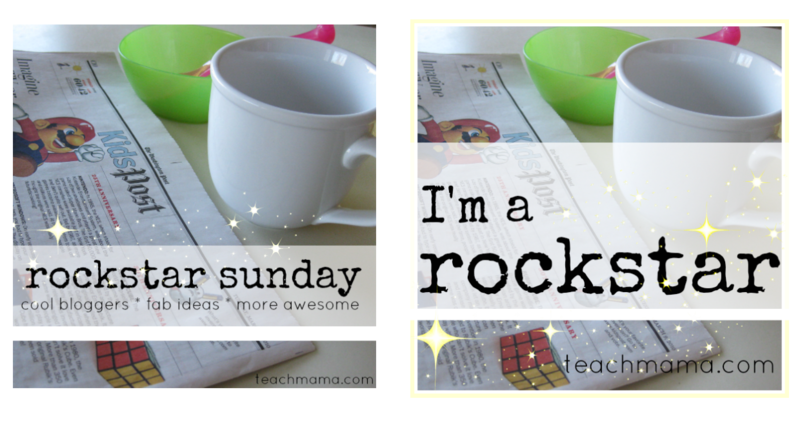 Before you first meet me, I should tell you that I am certifiably nuts about being anti-worksheets right now, so I am going to try to dial it back a bit to write this post. This past school year, we adopted a new math series that is very heavy on worksheets and giving tons of practice problems. When we piloted the series, we knew that we’d need to supplement and scale back as needed. 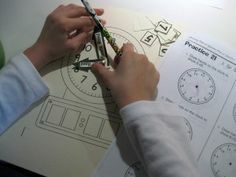 It is difficult for me to expect children to work out between 30 and 50 problems a day. 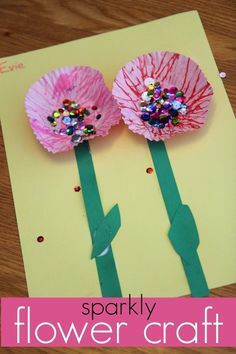 I particularly struggle with this style of teaching when the concept is very abstract. Right now, our team is introducing fractions, and I can’t tell you how difficult this is for third graders. The idea of shading in boxes and naming fractions of symbols was so abstract that students had nothing to connect it to. It was actually making me crazy. The idea of doing it with 30 problems on a worksheet made me even crazier! This change has made ALL the difference. By cutting an apple in half, we could explore the definition of a fraction. Then, we discovered the concepts of equal parts, numerators and denominators with a pan of brownies. 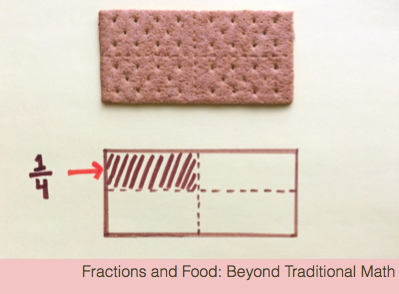 But my favorite activity that I believe was most effective is graham cracker fractions. 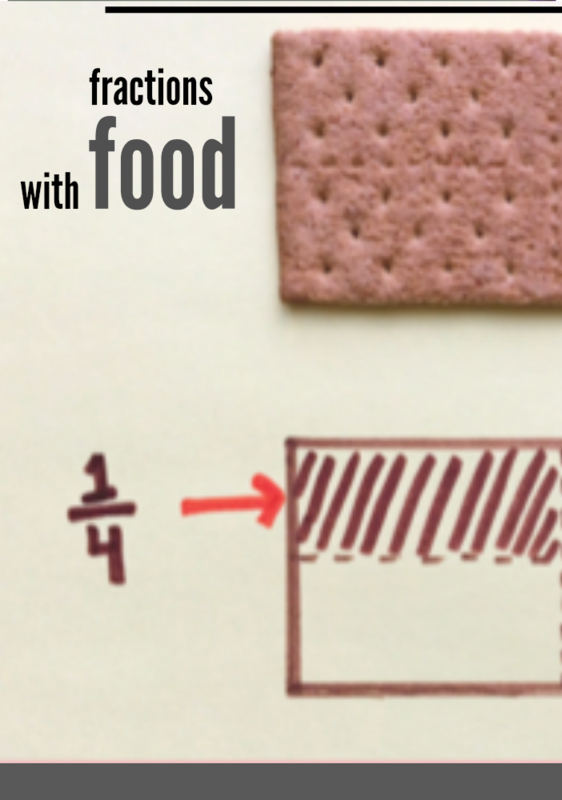 Instead of randomly coloring in boxes to show fractions, we laid a graham cracker down on a piece of paper and drew a symbol of it below. Now when it came time to shade in ¼ of the box, it made sense, because they had broken their graham cracker into four equal parts. When we eat a quarter of it, we can shade it in. To extend this the next day, we took a graham cracker and transferred what we did the previous day to a number line. This was the easiest it has ever been to teach fractions on a number line. Again, since number lines represent counting, we simply counted by quarters instead of by whole numbers. The best part was that when the graham cracker disappeared, they could still plot the numbers on the line! All things in math must absolutely be connected to the real world for students right from the start. So often we jump right to symbols and numbers without giving them proper background knowledge needed. This is truly a disservice to kids. Helping them connect to real life (especially yummy snacks) will make us all successful! 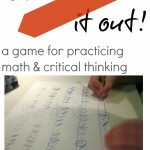 Thank you, thank you, THANK you, Jen, for sharing your math expertise–and totally cool idea!– with us! Jen is a third grade teacher with 8 years of experience teaching elementary students. Her passion is teaching math with a focus on conceptual knowledge through real world projects and rigorous problem solving. 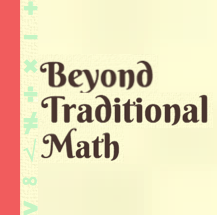 You can find more teaching tips and resources (and hear about how much she has learned from her mistakes) at her blog: Beyond Traditional Math. 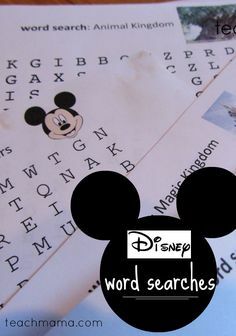 You can also connect with her on Pinterest, TpT, Twitter, and Facebook. Thanks Jen this really helps me to clarify the fraction lesson to my resource students.